Public support for new nuclear plants in the UK has fallen significantly following the near-meltdown at Fukushima in Japan, according to a new national opinion poll. The poll showed a drop of 12% in support for nuclear power to 35%, compared with a similar poll conducted in 2008, 2009 and 2010. Opposition to nuclear power has risen by 9% to 28%. Do you support or oppose the building of nuclear power plants in your country? If you do support it, would you be prepared to live near a nuclear power plant? Support for nuclear power in the UK has dropped by 12% following the near-meltdown at Fukushima nuclear power plant, according to a national opinion poll conducted since the earthquake near Japan that triggered a devastating tsunami. The nuclear emergency, which the Japanese authorities are still battling to contain, looks set to make it more difficult for the UK government to push through its planned programme of new nuclear power stations. 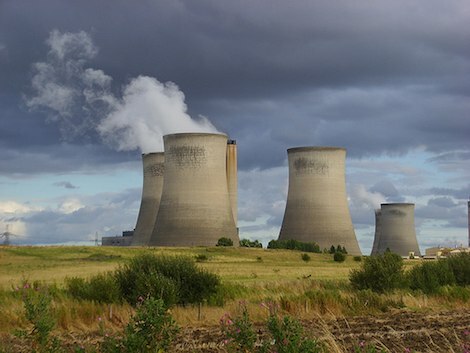 Of those polled, 37 percent said they were now more likely to oppose the building of new nuclear power stations in the UK and 44 percent said they were worried about the safety of nuclear power plants here. The poll, which was conducted by GFK NOP shows a drop of 12% in support for nuclear power to 35% compared with a similar poll conducted by Ipsos Mori in 2008, 2009 and 2010. Opposition to the technology rose 9% to 28%. Nikki Clark of the anti-nuclear Stop Hinkley campaign said: “We have definitely had more interest since the events in Japan: when we protested over the weekend people really wanted to talk to us about what we were doing, and find out more about the campaign. I think people are realising just how dangerous nuclear really is.” She is one of several campaigners fighting EDF’s application for a new power station in Hinkley. The GFK NOP poll was compiled between 18-20 March and based on telephone interviews with 1003 adults. I’ve always thought that nuclear is too risky. When things are OK, then I can see the advantages, but when it’s bad, it’s very bad. It’s too risky, in light of the potential of environmental influences, as we’ve seen, and in the age of terrorist attacks. Why not choose safer options, such as wind power, solar, which are clean, renewable and don’t carry the same risks? This should be particularly easy in Australia with relatively much more free space for such things. I agree, especially in countries like Australia with an abundance of renewable resources just waiting there. It’s a tough one because climate science is pointing to the reality that coal plants will most probably need to be phased out over the next 20 years or so. If carbon sequestration doesn’t pan out, which it doesn’t look like it is so far, the world is going to have to move fast on alternative power sources. Yes. The difficulty is getting governments to think beyond the next year or two (to the next election), implementing infrastructure needs for the longer term. True, although political parties seem to be good at aiming to implement their particular economic agendas for the long term. It’s just that they don’t seem to be that different, so it happens in a pretty linear way. Not so with clean energy, yet. Nuclear power is the only way forward for the U.K. as our country does not lie on any major faults in the Earth. We must try to be self sufficient in energy and not be held to ransom by other countries. Also it will bring much needed jobs for the British people if our government does not let these jobs be done by cheap labour from abroad.